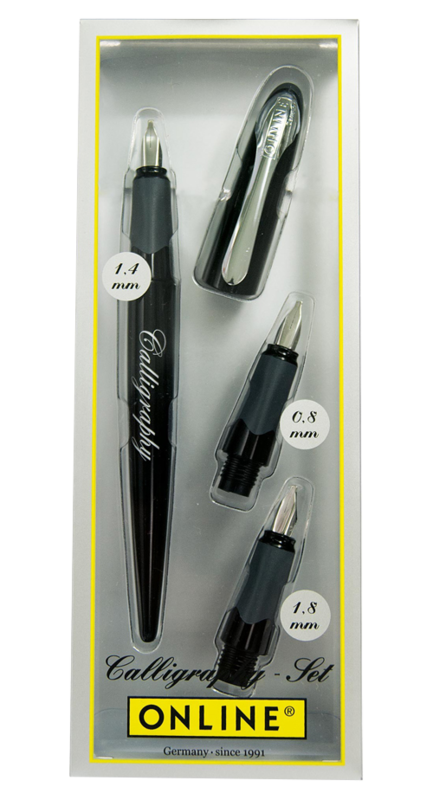 The Best Writer Basic Gift Set from ONLINE comprising the calligraphy pen with its soft triangle shape and two additional grips, complete with high-quality iridium calligraphy nibs in sizes 0.8 mm, 1.4 mm and 1.8 mm for creative writing guarantees a pleasant, fluid writing style. Standard cartridges ensure cheap and simple refills. The Best Writer makes writing and designing fun. 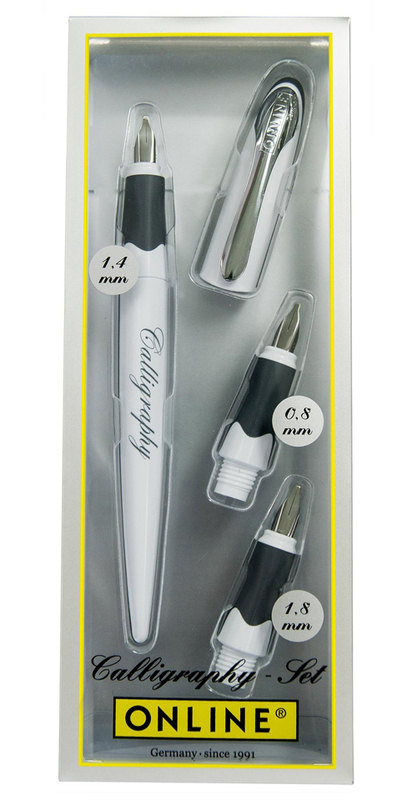 Each individual pen represents tested quality. Suitable for ONLINE combi ink cartridge, two standard ink cartridges or converter.